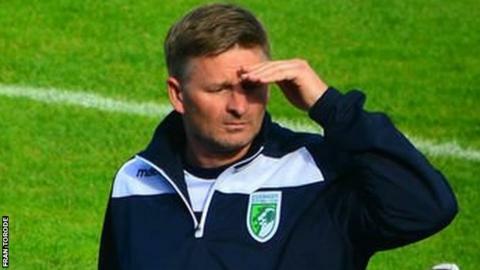 Guernsey FC manager Tony Vance says he will keep faith with the players that have shown commitment to the club. Guernsey got their first away win since August on Saturday as they beat Walton Casuals 5-1 with a 13-man squad. "I'm at the point now, to be honest, where those are the players I care about," Vance told BBC Radio Guernsey. "If you're going to be a bit-part player then you will play a bit part, and anyone who buys into it 100%, they're going to play." Amongst Vance's small squad was debutant Blair Howitt, who came on as a late substitute and impressed Vance. "It's definitely not a one-off," Vance said of the Rovers player's appearance. "I'm pleased for him and it shows everybody that it's not a closed shop, and if you want this and you want to buy into what is required, you'll get your opportunities."